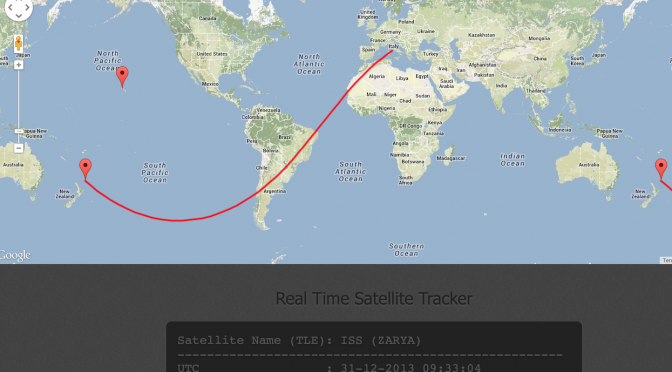 Tracking satellites can be fun (where is the ISS now?) … and complicated. Fortunately there are some algorithms that can help like the SGP4. 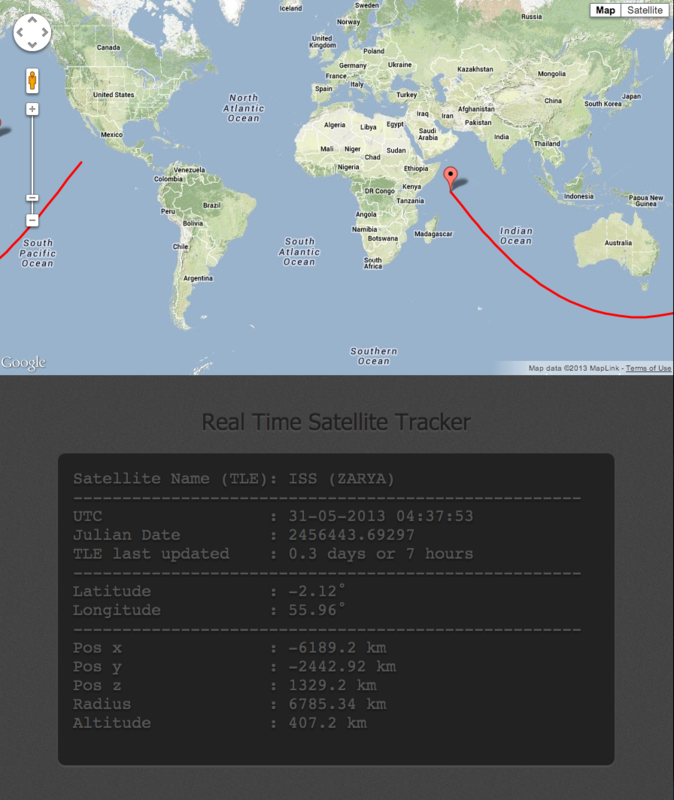 I’ve used an available php implementation of the SGP4 algorithm and made a simple satellite tracker application showing the ISS, but really it can show any satellite as long I feed the proper Two Line Element from CelesTrack.